Having hepatitis C greatly increases your risk of developing type 2 diabetes, and diabetes worsens the prognosis of hepatitis C.
Hepatitis C was first identified and named in 1989. The virus infects liver cells and causes liver inflammation, along with several potential complications. Hepatitis C is most commonly transmitted among intravenous drug users through sharing needles, but also through non-sterile tattooing or body piercing. It is also possible to contract hepatitis C through contact with infected blood, or sexual contact. There is no vaccine for hepatitis C.
It has been known for some time that people with hepatitis C are more likely to develop type 2 diabetes than uninfected people. One explanation is that the hepatitis C virus promotes accumulation of fat inside the liver. A fatty liver is not able to absorb excess glucose from the bloodstream, therefore the blood sugar level can rise to an undesirable degree. The majority of people with hepatitis C eventually develop insulin resistance (also known as syndrome X or metabolic syndrome). This means their liver as well as their muscles are not able to absorb glucose (sugar) from the bloodstream and use it for energy. Instead, the glucose is converted into fatty acids and gets stored as body fat, particularly in the abdominal region. Fat also accumulates in the liver and promotes the development of fatty liver disease. 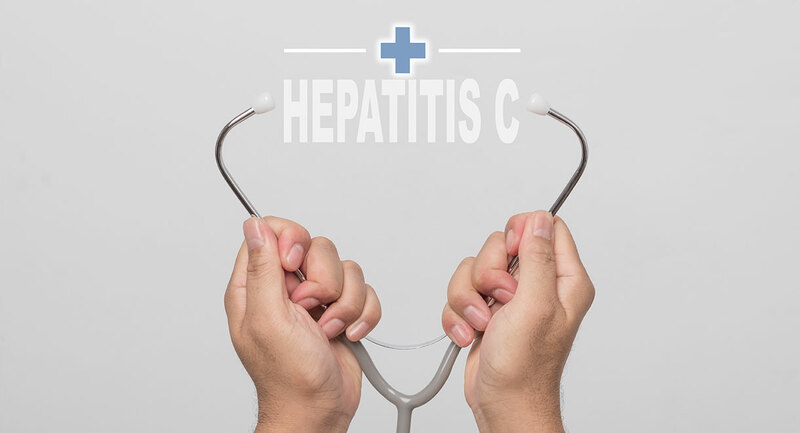 Hepatitis C increases the risk of liver cancer, and people with both hepatitis C and diabetes are at far higher risk of developing liver cancer. Insulin resistance and diabetes both increase the amount of scar tissue present in the liver; scar tissue can progress to cirrhosis of the liver. Research has also shown that people with insulin resistance or diabetes have a poorer response to antiviral therapy than people without these conditions. Insulin resistance basically means having high blood insulin levels and higher than ideal blood sugar. These conditions promote high levels of inflammation in the body, and inflammation hastens the progression of liver disease. The following recommendations will also help to lower your blood sugar if you already have diabetes. Maintaining a healthy weight and preventing high blood sugar is vital to reduce the risk of liver complications from hepatitis C.
Avoid flour and sugar. These foods are extremely high in carbohydrate and raise your blood sugar level when you eat them. Also avoid or restrict your intake of all grains, cereals and potatoes. See our book Diabetes type 2: You can reverse it naturally for a low carbohydrate eating plan. Do some exercise most or all days of the week. Exercise will help to prevent your blood sugar getting too high, it helps to prevent high insulin levels and enables weight loss. Weight gain in the abdominal region is particularly harmful to hepatitis C patients. Make sure you are not chromium or magnesium deficient. These two minerals are essential for proper blood sugar control and most diabetics are deficient. Stress and high carbohydrate diets promote deficiency of these minerals. Take a selenium supplement. Selenium inhibits the ability of viruses to replicate, therefore it’s essential for hepatitis C patients to consume plenty of this mineral. It is very difficult to get adequate selenium through food; Brazil nuts are the best dietary source. Avoid alcohol and cigarettes. These substances are extremely harmful to the liver in people with hepatitis C.
This is the first time I have read about the connection between Hep C and diabetes type 2. After my husband finished the 52 week treatment for Hep C he was told he had type 2 diabetes and this came as a shock as no one had prepared us for this.